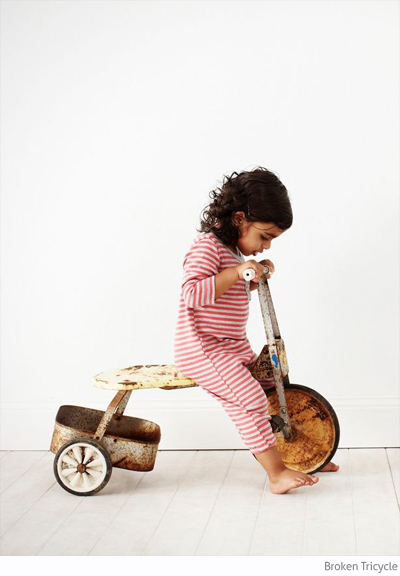 Sydney children's clothing designer Patricia Murphy of Broken Tricycle has aced it with this great collection of mix-and-match pieces for kids in sizes 0000 to 2 years. 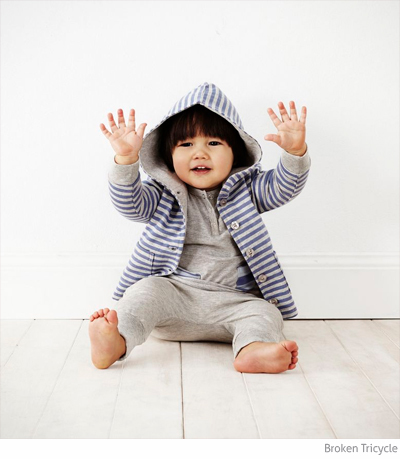 Made from organic cotton (no harsh dyes or chemicals) and sweat shop-free, the Winter 2013 range is comfy and cute to boot. Did you notice the great options for boys?!? 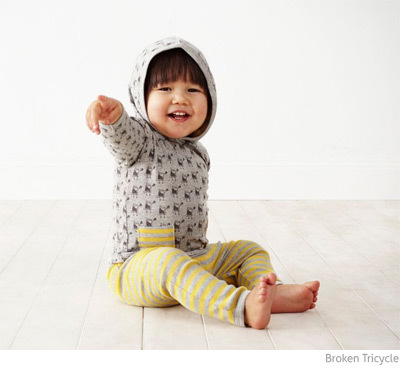 Nearly all the clothes in the collection would work well for both boys and girls - choose from yellow, blue or red stripes to mix-and-match with classic grey and a super-cute beaver print. 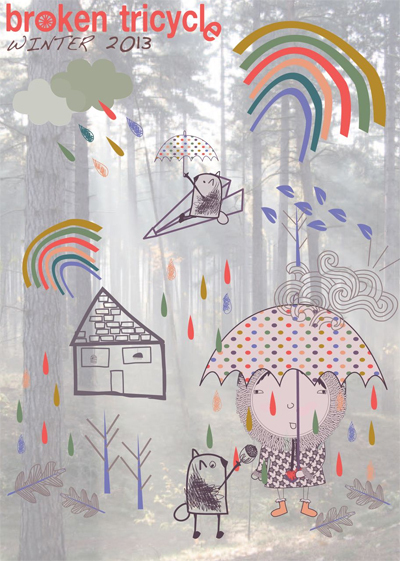 The signature girl-with-umbrella and rainbow-with-flying-beaver illustrations are bang on-trend. Let your little ones snuggle up in style this winter - every piece in the collection is a no-brainer. 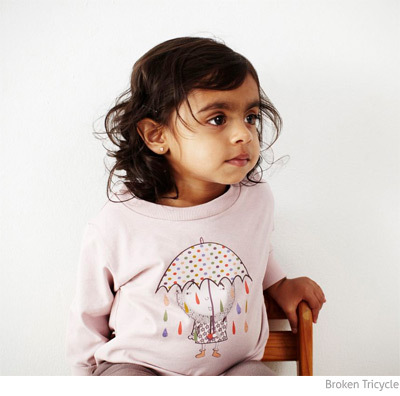 You can find Broken Tricycle in the online store as well as in stockists across Australia. Congratulations Patricia on a fabulous collection - I love it! 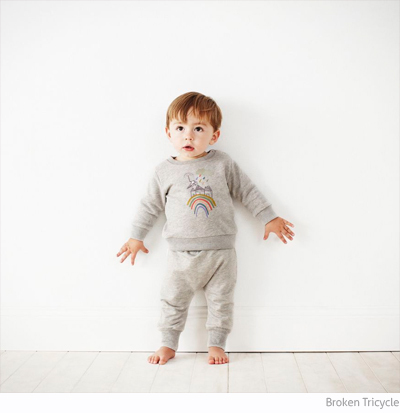 Broken Tricycle's new summer collection is just gorgeous!